On one major job recruitment website, Zhilian, the number of openings across all sectors posted in the fourth quarter fell 10 percent from the same period in 2017. New positions at technology firms and internet startups fell 51 percent in the third quarter of 2018 from a year earlier. 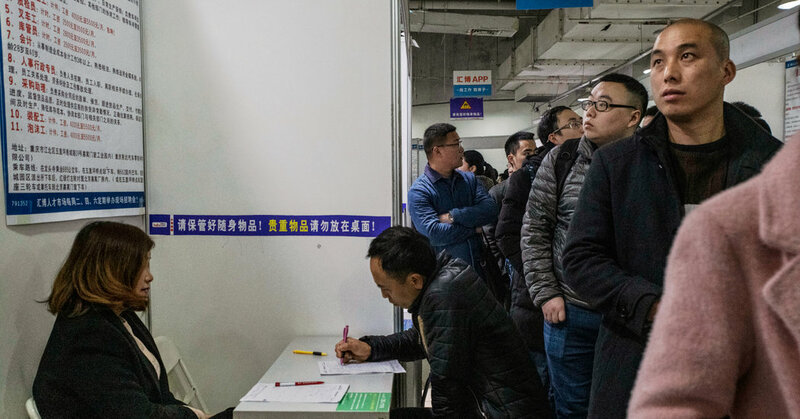 China’s office workers have suffered during past slowdowns, but cuts now have a broader impact as the country’s economy matures and they become a bigger part of the workforce.